Waterfront, Buildable Property, This is opportunity of a life time,Own a beautiful property which is located right on the Horse Creek 12 to 18 feet deep which runs into great Tennessee river. Property is located in a brand new subdivision with a boat ramp. The size of the property is 0.36 acres of which 75 feet is waterfront. 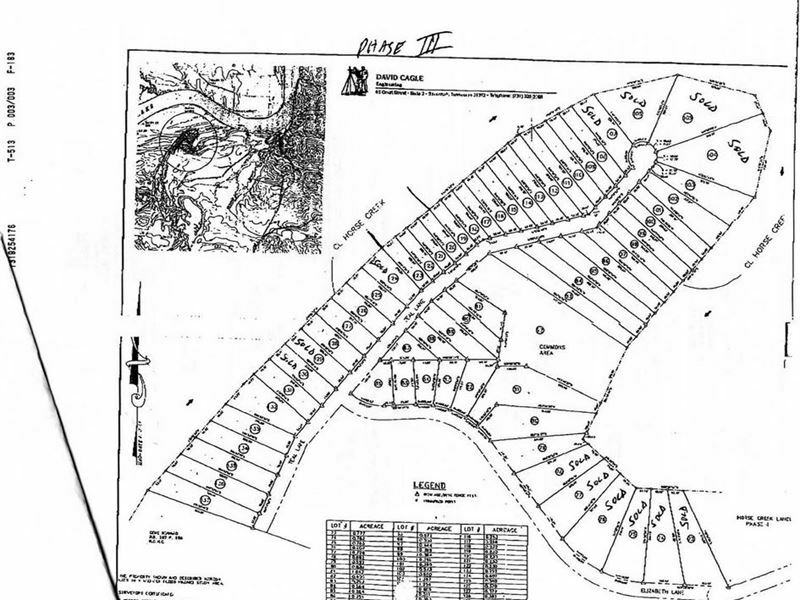 There are plans to pave the roads in subdivision. Utilities present water, electricity and telephone. Do not miss this opportunity, build your dream home or make great investment. Prohibition Against Permanent Trailers No mobile home shall be permitted to be located on the lot temporarily or permanently. Camper trailers and motor homes may not be permanently placed on any lot. However, motor homes and trailers are permitted to be temporarily staged on the lot while you are building your home. All motor homes and camper trails must be mobile at all times. Minimum Building Requirements Any building must have 1,000 square feet and at least a 4/12 pitch roof. BOAT Ramp The property faces Horse Creek. The creek runs into Tennessee river. The creek is 12ft to 18ft deep. There is a boat ramp in the subdivision. From catfish to cannonballs and conferences to conventions, Hardin County is the perfect destination for you. With its world famous golf courses, historic Shiloh National Military Park, and southern hospitality and style, it is no wonder so many people seek out Hardin County to call their home. Atlanta, Georgia - 284 Miles Golf, swimming, boating, hiking, dining, horseback riding This information is deemed reliable, but not guaranteed. Neither nor their Associates are responsible for the accuracy of the information. The buyer is responsible for verifying all information with the county. The land is being sold as-is with no warranties either expressed or implied as to the location, condition, accessibility, terrain, build ability, or information contained in this listing. Sizes advertised are approximate. Buyers are required to perform all due diligence prior to bidding. By buying you are acknowledging that you have completed all due diligence and that you understand legal commitment to purchase.